Dr. Asher Ram is the premiere Immigration Medical Exam Doctor in Los Angeles and has been designated by USCIS as a Civil Surgeon. He has also accomplished being rated as a 5 star Doctor by both Google Reviews and Yelp Reviews. 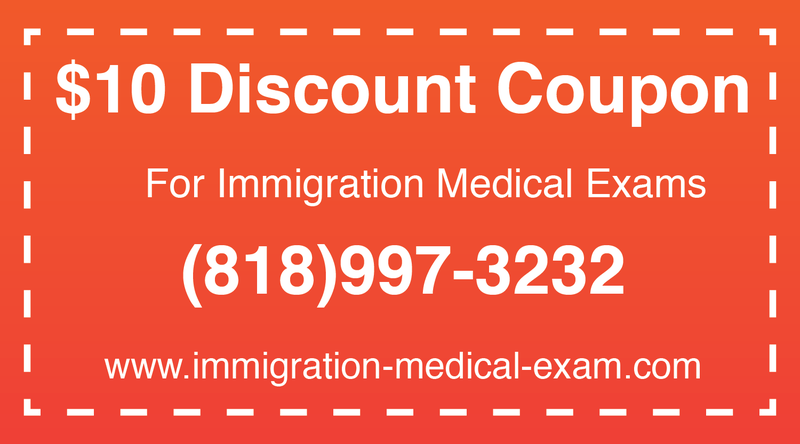 Dr. Asher Ram has helped thousands of immigrants with this exam over the past 25 years and has been trusted by hundreds of Immigration Attorneys throughout Southern California. Our office is approved and an official provider of the INS 693 immigration physical medical examination for aliens seeking adjustment of status or to complete examination requirements for permanent residency (GREEN CARD). Call us at (818)997-3232 to make an appointment or get a quote! Click here to get connected directly to our office! Click here to see prices and print coupon! The United States immigration law requires immigrant visa applicants to obtain certain vaccinations prior to the issuance of an immigrant visa. Most individuals will need 2 visits. During the first visit, we will perform the the medical examination, the Tuberculosis test and a blood test for HIV/Syphilis. You will also receive immunization shots and vaccines if necessary. During your second visit, the doctor will review your HIV/Syphilis and Tuberculosis test in order to determine if any other exams (chest X-Rays) is necessary. What does an immigration doctor do for your medical exam? Immigration medical exams are performed in order to verify that you are in good health and admissible to become a United States citizen. These USCIS immigration exams are called I 693 (i693) and they verify your medical condition in order to determine if you need any medical care after you immigrate to the US or adjust your status to become a permanent resident. What does USCIS Doctor do? On March 1, 2003, s the U.S. Immigration and Naturalization Service (INS) transitioned into the Department of Homeland Security (DHS) as the U.S. Citizenship and Immigration Services (USCIS). A USCIS doctor is responsible for performing an immigration medical exam and filling out the form i 693 (A USCIS i693 form). According to the USCIS, a civil surgeon is a doctor, selected by USCIS to conduct medical examinations of aliens in the United States who are applying for adjustment of status to permanent residence or who are required by USCIS to have a medical examination. Does our office have immigration doctors? How to find Immigration Clinics that perform immigration exams? Yes. Dr. Ram is an accredited USCIS civil surgeon and performs immigration physical exams, or immigration medical exams for the USCIS. He fills out the I 693 form for you. Therefore, once you make an appointment, you will find our immigration clinic very cost effective compared to other immigration clinics that are in the Los Angeles area. Dr. Ram is very competent in performing the immigration physical because he has been doing it for many years. What is a green card medical exam? The Immigration Medical Exam is necessary for people that are looking to adjust their status in the United States or apply for an immigrant visa if they are going abroad. It is not possible to get an immigrant visa or even to adjust status unless you have a green card medical exam or a immigration medical exam. The immigration medical exam must be performed by a USCIS approved Civil Surgeon, and our office has an immigration doctor on staff on a daily basis. Is Dr. Ram an Immigration Doctor (Los Angeles)? How Do I use the civil surgeon locator? 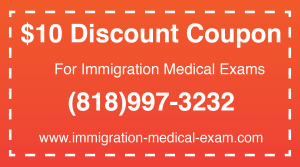 Yes, our office is qualified to do immigration medical exams and is located in los Angeles. You may need to contact USCIS to use the civil surgeon locator for a city other than Los Angeles. How to Find Immigration Clinics (or USCIS Doctors) that perform immigration exams? The purpose of going to an immigration doctor is to evaluate whether you have diseases that may require further treatment. Although it doesn’t happen very frequently, it may be possible that you will be asked to do more medical tests at a different health office. The only people that can do the medical exam for immigration are civil surgeons designated by the USCIS. Our office is designated immigration exam office. Do adjustment of status applicants need an immigration medical examination? Most individuals who are seeking adjustment in status need to have an immigration doctor or a USCIS Civil Surgeon perform the immigration medical examination. This is done by filling out the i693 (or i-693 / I 693) medical Examination of Aliens Seeking Adjustment of Status. There are a few exceptions of Refugees, Fiance’s (K-1, 2, 3, 4) and Spouses or (V-1, 2, 3, 4) applicants that do not need the medical exams. What medical tests may be required during the Physical examination? Where to get the exams done? Please call our office at (818)997-3232 to schedule an appointment. Dr. Asher Ram is an approved USCIS Certified Civil Surgeon in Los Angeles, Ca and specifically in Van Nuys Ca. What happens after I do the medical exam? The office will fill out the I 693 form for you, and the results will be sealed in an envelope that you give to USCIS. You should not open the sealed envelope unless instructed by USCIS.